Thursday, 4th April 2019, 10:00 a.m. I wish to begin by extending my thanks to members of the media for joining us here today. Your role is a vital one, particularly as the University continues to equip our citizens to move this country forward. Today’s press conference is an announcement regarding a decision of the Board of Trustees to adopt a new structure for tuition and select fees for first-time, first-year students entering University of The Bahamas for Fall 2019.
related transcripts and graduation evaluation have not changed since inception in 1974. However, please know that all currently registered and continuing students will continue to pay the same tuition and fees as before, until they graduate from the University, or their period of candidacy has expired. We informed our University community, of this decision prior to the announcement, at various general meetings for staff, faculty and student leaders. As you can see, the matter of a proposed tuition increase has been deliberated at the COB Council and UB Board level for quite a number of years. I must emphasize that for approximately twenty years, tuition has remained unchanged, despite the rising operational expenditures necessary to meet the needs of our multi-campus and growing academic community. Starting in Fall 1998 tuition increased from $25 per credit for lower level courses. In that year, the cost was changed to $50 per credit, a 100% increase. In 1999, tuition increased to $75 per credit, a 50% increase and in 2000 tuition was further hiked to $100 per credit, a 33% increase. This is where it stands today for lower level courses for Bahamian students. Each of those increases was greater than the current increase. The cost for non-Bahamian students is twice this rate. As of Fall 2018, our records show that the cost of attendance per student was between B$26,810 and B$30,810 annually. This cost is projected to be between B$29,180 and B$33,780 as of Fall 2019. This is on par with costs in the United States. Today, according to our data, UB students are paying only 20% or one-fifth of the true cost of attendance at UB, compared to the 38% which students are paying, on average, at other institutions around the world. particular our revenue generation and cost-reduction reflect that growth trajectory. Retaining the current rate of tuition and fees without adjustments to reflect our current realities is an untenable position. To clarify: although new first-year students will begin paying the 15% increase in tuition as of this Fall, current and continuing students will see absolutely no increase in either tuition or fees, as long as they are students at the University. Prospective students are advised that they must still apply for admission to the University and must also apply for the anticipated Tuition grant initiative and other financial aid and scholarship programmes. Further, students who qualify will continue to be able to access an existing suite of financial aid and scholarships provided by the University, by private donations and awards, and by the government’s bursary and grant programmes. These are in addition to our highly subscribed deferred payment plan which extends to students who meet the requirements, the option of paying their tuition and fees in one-third installments. 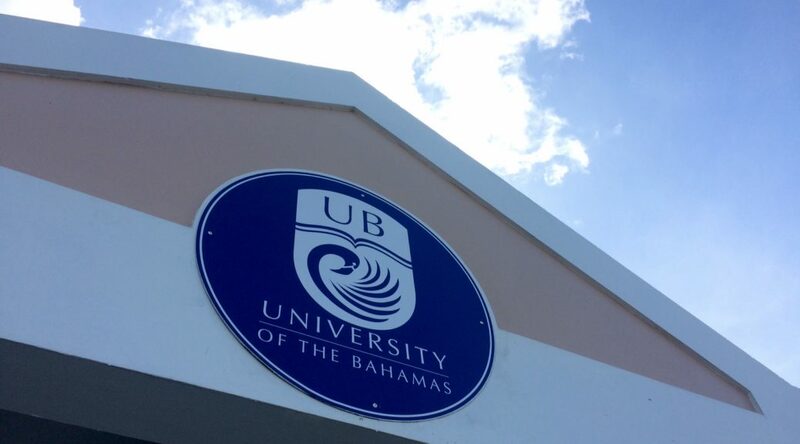 We invite members of the public to visit www.ub.edu.bs to read today’s statement and you can also watch the video of this press conference by accessing our Facebook page; search for University of The Bahamas.